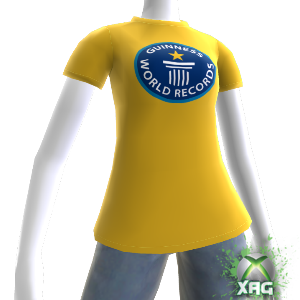 The XBOX Guinness World Record Avatar T-Shirt is a VERY limited item. This Item was given to the participants of the April 23rd 2011 World record event that was held on the XBOX while playing Kinect Sports. Participants had to download the Guinness World Record Gamer Pic and then at the precise time compete in a 100 Meter dash to qualify for this item. After about a month of waiting the codes were slowly sent out and was reported that not everyone got their codes. Lots of people including us had to email the developer to get them to release the codes. 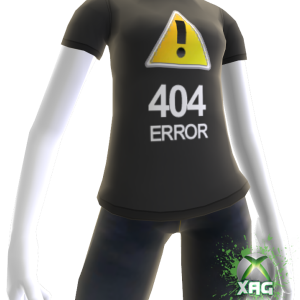 We heard reports that over 5,000 people competed so that means that’s how limited these XBOX Avatar items are, or less due to email complications. Either way its a real nice collector item for the true Avatar enthusiasts. Make history and become a record breaker this Easter on Xbox LIVE! On Saturday 23rd April we’ll be attempting to join hands across the world and break the Guinness World Record for the ‘largest online 100m sprint’ via Kinect Sports and Xbox LIVE. To be part of the Guinness World Record attempt, join us and thousands of Xbox LIVE members at 6pm on Saturday 23 April. Each and every runner will be rewarded with an exclusive Xbox and Guinness World Record Avatar T-shirt. The Guinness World Record is just one of the fun events that will take place over a free weekend of entertainment on Xbox LIVE, where each and every LIVE member will be given Gold LIVE access including multiplayer gaming and access to the latest films, music and more. 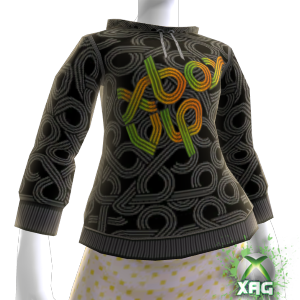 The XBOX VIP Sweater was given out to members of the ExpertZone website that is dedicated to educating people who work in the gaming industry, Such as GameStop and Best Buy. The way people got them was they had to win them be completing certain quizzes to become an XBOX VIP. These were given out very early in the Xbox Avatar days so most people didn’t even know they would be rare. Some people never used them, and a very few lucky group of avatars own them today. Considered one of the most coveted of Rare XBOX Avatar Items. 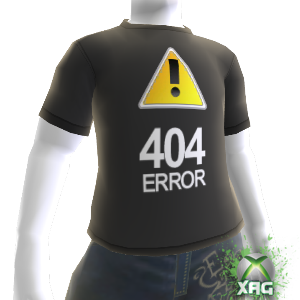 The XBOX 404 Error Shirt is an Employee Exclusive Avatar T-Shirt. These have ONLY been seen on Employees of Microsoft’s XBOX Avatars. People have tried to get one of these from different places and Begging of Employees but there is none to be found. Just look at it here and Dream! !